Puppet love Look-alike puppets bring merriment to couples weddings – J.
Puppet shows detailing the story of how the bride and groom met aren’t usually a wedding staple, but those who’ve attended the weddings of Jen Miriam Kantor-Altman’s friends have come to expect them — and know they can often be a highlight. Kantor-Altman, 39, of Oakland, is a mom, doula and childbirth educator. But in her spare time, she is also a puppeteer, percussionist and ketubah artist. 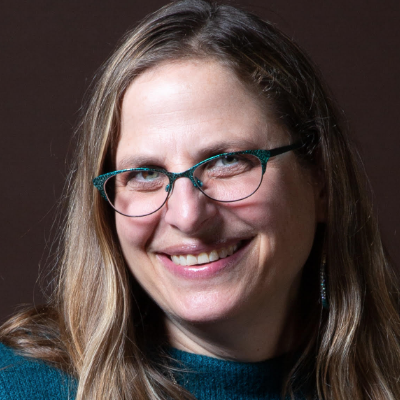 She is part of the popular family entertainment band Octopretzel, and leads Tot Shabbat services at Chochmat HaLev in Berkeley and Kehilla Community Synagogue in Piedmont — always with one of her favorite puppets, Raizel the Camel, in tow. Her love of puppets goes back to childhood, when she would put on puppet shows for the neighborhood kids in her Palo Alto backyard. The fascination kicked up a notch in 1999, when Kantor-Altman saw the movie “Being John Malkovich,” in which the main character is a puppeteer. “After that movie, I was on a mission,” she said. She built her own puppet theater and began performing with a few friends. They called themselves the Puppet Players. In 2001, she used puppets to make a wedding toast. And when one of her fellow Puppet Players, Nell Friedman, married Chaim Maghel in 2003, Kantor-Altman got a few friends together for her first full wedding puppet show. The puppet show was a “rip-roaring, overwhelming success,” Kantor-Altman said. “People were laughing hysterically and crying and cheering, and no one had ever seen anything like it at a wedding before. Creating a wedding puppet show is no small task. In addition to sculpting the puppets, Kantor-Altman interviews the bride and groom, their parents and childhood friends. She asks for specific stories, too. The scripts begin with tales from the bride and groom’s childhoods, up through their meeting and engagement. And she walks a fine line between making fun of the bride and groom by exaggerating certain traits, but not so much that they’re offended. 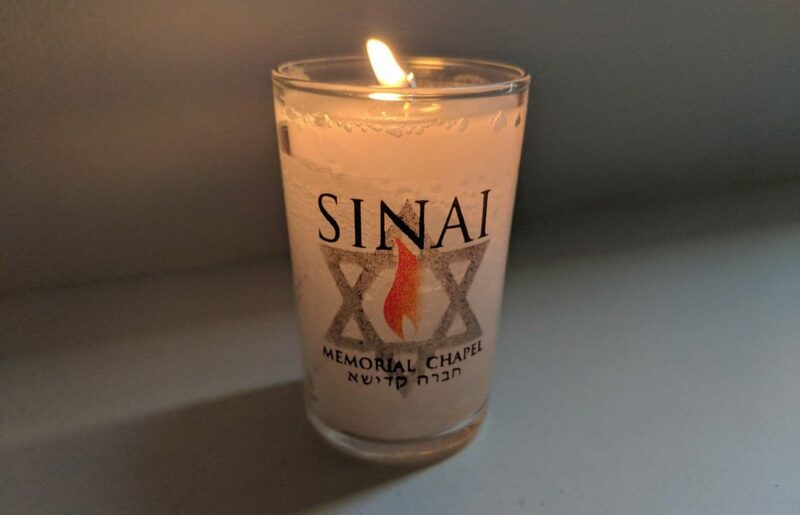 In preparation for the show at the Brooks-Schacter wedding, Kantor-Altman and former Puppet Player Sara Nicoletti had Shabbat lunch with the couple. (Lisa Brooks’ brother had commissioned Kantor-Altman to do the show without their knowledge.) At the lunch, Lisa Schachter-Brooks remembered, the puppeteers asked all kinds of questions about their relationship and how they got together. 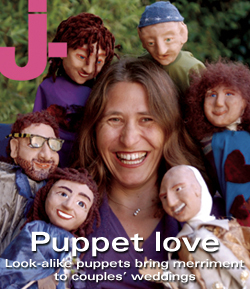 The resulting puppet show had a “Sesame Street” theme — one of Brian Schachter-Brooks’ favorites as a child — and they “very cleverly made a puppet show that was funny to everyone, but was way more funny to us, because there were some background stories that others didn’t know,” said Lisa Schachter-Brooks. Fink had never seen a wedding puppet show before, but Hurvich had played leading roles in two friends’ puppet shows; she came up with an elaborate scheme. “If I had suggested it, he would have been a naysayer,” she said, “so I convinced him that we should have a talent show the night before the wedding,” explaining it would be a great way to get the large number of children invited to their wedding involved. Even though Fink was concerned about the quality of the talent, he relented. He admits he probably would have said no to a puppet show. Hurvich said that seeing Fink’s face when the Bob puppet came on stage was a highlight of their wedding weekend. Kantor-Altman described the puppet show of Margie Walkover and Daniel Lev as one of her own personal favorites. Given that Lev and Walkover met in their late 40s, they came to believe that Lev’s mother and Walkover’s father had met in heaven and arranged for them to be at the same wedding, where they met. Kantor-Altman re-enacted this, with the parent puppets above the puppet theater talking about setting up their children. But perhaps Kantor-Altman’s biggest highlight was the 2006 wedding of former Puppet Player Nicoletti to Idan Bearman. Kantor-Altman invited Bearman’s childhood friends from Israel (Bearman is Israeli) up to the puppet stage. Only one of them actually did so: Alon Altman, who was so impressed by the puppet show — and more importantly, the puppeteer — that he married her.